Hummingbirds and butterflies are some of the most beautiful visitors to a backyard, but they can also be some of the most elusive. 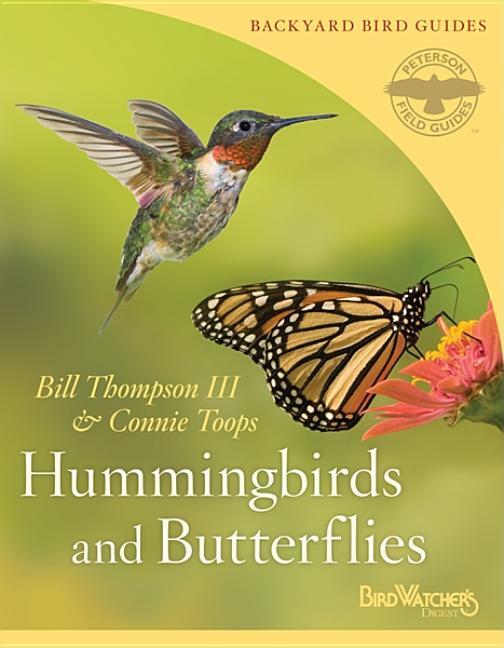 This second collaboration between the Peterson Field Guide series and Bird Watcher's Digest includes tips on how to attract hummingbirds and butterflies to backyards--and how to identify them once they've arrived. Bill Thompson III and Connie Toops have decades of firsthand experience and have written the book in a fun, lighthearted style, providing both amateur and veteran nature watchers with need-to-know information, including where hummingbirds and butterflies live, what they eat, and the best garden plants to attract them. The species profiles of the 15 most common hummingbirds and 40 most common butterflies serve as a field guide, showing ranges, identifying marks, and preferred habitats. Full-color photographs and detailed drawings make attracting, identifying, and feeding these colorful creatures a snap.